A burst pipe is an emergency that needs repairing immediately. It could damage your home’s very structure. If electrical wiring is affected, there are further dangers. A professional plumber can deal with this crisis and will determine which pipes need repair and the best pipes to use for replacement. Cast iron and copper are the types of pipes that have been used for centuries. Today the standard material is still metal but plastics have replaced many plumbing uses. • Galvanized steel: The standard plumbing pipe before the advent of plastic. They are susceptible to rust but non-corrosive. • Cast iron: Preferred for waste disposal. Cast iron bonds well with the plastics, so replacement is not restricted. • Copper: Benefits of copper are its resistance to corrosion and that bacteria cannot grow in it. Since it is somewhat soft, it requires fewer connectors when a corner is called for, it will bend. • Stainless steel: A premium pipe for residential plumbing. However, it is more expensive than copper. • ABS (acrylonitrite-butadiene-styrene) used mainly for ventilation and drainage. It has been banned in some areas of the US. • PVC (polyvinyl chloride). This pipe is used for cold-water feeds only. It warps easily so is not recommended for hot-water use. • CPVC (chlorine-polyvinyl-chloride) is an improved plastic pipe that can tolerate cold and hot water use. • PEX (cross-linked polyethylenes or XLPE), used not only for residential plumbing but also for heating, oil, gas, sewage, and other transportation uses as well as for insulation. • HDPE (high-density polyethylene), reliable for most plumbing uses. It is also used in other capacities, such as for gas and drainage lines. To avoid another emergency in the future consider an upgrade. We use only copper piping for repairs and for upgrades. It’s today’s standard quality plumbing pipe. AmeriServe’s plumbers will also install new fixtures you may want to include. You will have a free consultation and a detailed estimate. There are never hidden costs. We take pride in being sensitive to the inconvenience and disruption of having workmen in your home. On completion, we repair any walls we have had to damage as well. AmeriServe’s plumbers are licensed experts. They are trained, courteous, and prepared for anything. 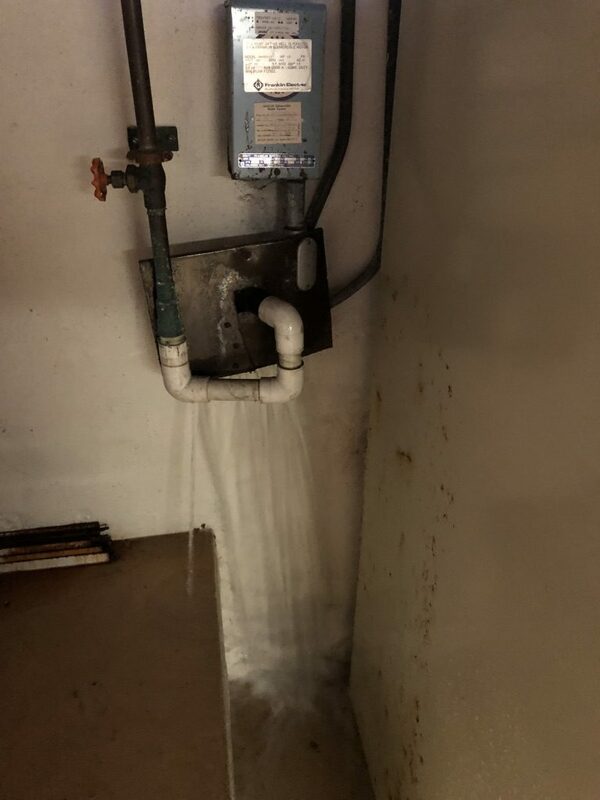 With us, the result of your emergency can turn out to be a wonderful new plumbing system that will only need minimal maintenance for many years to come.